Croston is a small village in West Lancashire, situated on the River Yarrow. 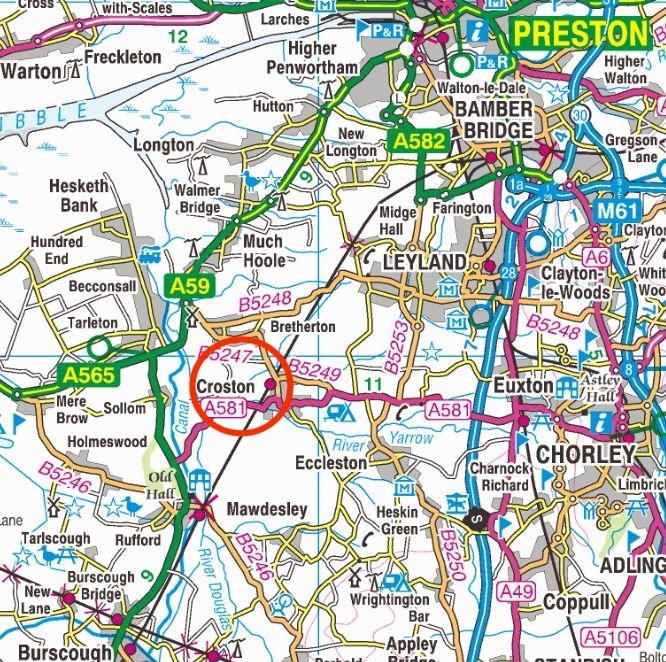 It is on the Preston-Ormskirk-Liverpool railway line and has a station. There are currently a total of 5 pubs and a Sports Club, all situated within a 250m radius of the village centre. The railway station is a further 400m away. 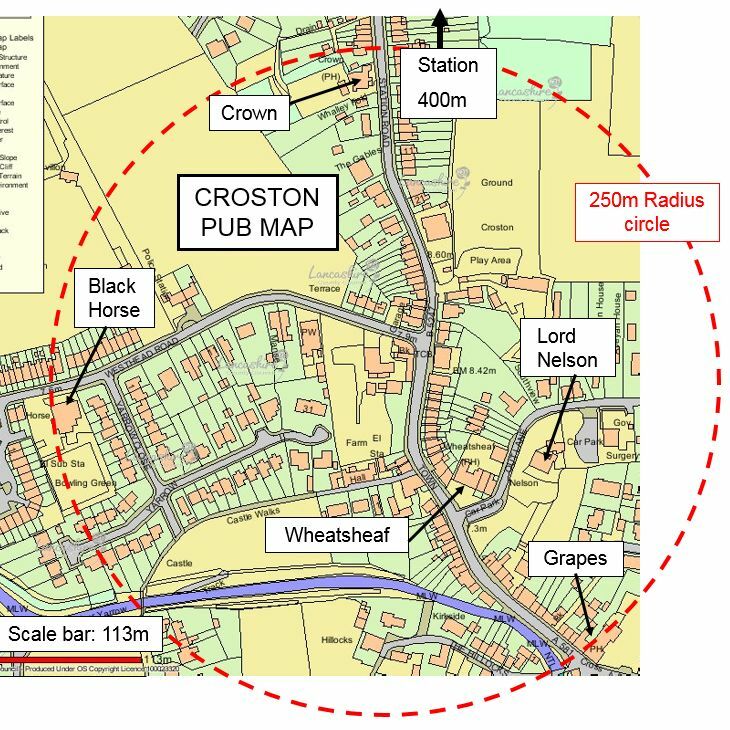 This makes Croston ideal and popular for a pub crawl! The current pubs are the Black Horse, Crown Hotel, Grapes, Lord Nelson and Wheatsheaf. A total of 5 pubs have closed. The De Trafford Arms (Station Road) closed recently in 2008 and demolished in 2013. At the beginning of the 20th Century there were a further 4 pubs which have all closed – Horseshoe (Town Road - demolished), Plough (Station Road - house), Railway Hotel (Station Road- house) and the Spread Eagle (Grape Lane - house). Allegedly, there used to be up to 20 pubs in the village, but these were probably private houses selling beer rather than the modern idea of a pub. Croston has a thriving Boules League (petanque) run by the local Twinning Association which plays during the summer. There are 12 teams, 6 of whom are based at pubs in the village. During the year there is a Bastille Day Fair, Autumn Produce Fair and a Christmas Fair.